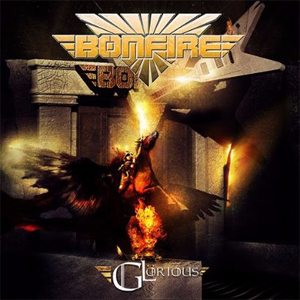 German melodic rockers BONFIRE have announced that they will release their new album Glorious on April 24th via Borila Records. Glorious will include twelve new songs and new recordings of BONFIRE classics “Sweet Obsession” and “American Nights”. The new album will be the first to feature new vocalist David Reece (BANGALORE CHOIR, TANGO DOWN).